Former CIA Director John Brennan lost his security clearance last week after he sent one critical tweet too many about President Trump. In a string of messages dating back months, Brennan has questioned the president's morals and integrity, and accused him of being a liar. In a new New York Times op-ed, Brennan even insisted Trump was involved in Russian collusion. On air with MSNBC's Rachel Maddow, he called Trump "treasonous." He backtracked a bit on Friday on that last charge. Former Director of National Intelligence James Clapper was one of several intelligence officials to condemn Trump's move to take away Brennan's clearance. He noted that officials have been rightly speaking up due to "genuine concern about the jeopardy and threats to our institutions." 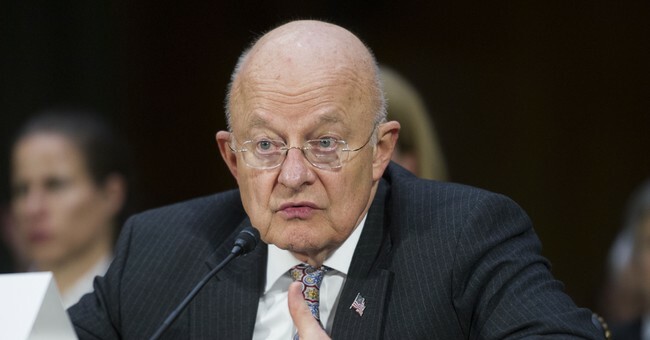 But, Clapper did admit Sunday that perhaps Brennan has gone a bit too far with the fiery remarks. "John and his rhetoric have become an issue in and of itself," Clapper said on CNN's "State of the Union." "John is subtle like a freight train and he’s gonna say what’s on his mind." Brennan is now threatening to sue Trump for revoking his clearance, to which the president said bring it on. The Trump White House hinted that other former intelligence leaders may soon lose their clearances too.